A mutual fund is a pool of money managed by a professional Fund Manager. It is a trust that collects money from a number of investors who share a common investment objective and invests the same in equities, bonds, money market instruments and/or other securities. And the income / gains generated from this collective investment is distributed proportionately amongst the investors after deducting applicable expenses and levies, by calculating a scheme’s “Net Asset Value” or NAV. Simply put, the money pooled in by a large number of investors is what makes up a Mutual Fund. 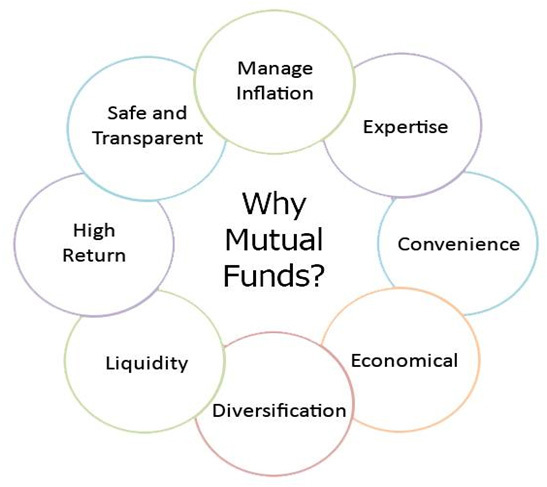 Why do we need Mutual Fund? Don’t just save but invest, Understand the difference between saving and Investment. Spending less than earnings is saving but rising prices will mean your saving will actually be reducing in value with time. An investment should not just match inflation but deliver something more thus becoming a second source of income. Mutual funds offers an array of innovative products like Equity funds, Debt Funds, fund of funds, exchange-traded funds, Fixed Maturity Plans, Sectoral Funds and many more. How one can invest in Mutual Fund? One could start investing mutual funds with just ₹5000 for a lump-sum / one-time investment with no upper limit and ₹1000 towards subsequent / additional subscription in most of the mutual fund schemes. And for Equity linked Savings Schemes (ELSS), the minimum amount is as low as ₹ 500. In fact, one could invest via Systematic Investment Plan (SIP) with as little as ₹500 per month for as long as one wishes to. What is Systematic Investment Plan – SIP? Systematic Investment Plan (SIP) is an investment plan (methodology) offered by Mutual Funds wherein one could invest a fixed amount in a mutual fund scheme periodically, at fixed intervals – say once a month, instead of making a lump-sum investment. The SIP instalment amount could be as little as ₹500 per month. SIP is similar to a recurring deposit where you deposit a small /fixed amount every month. SIP is a very convenient method of investing in mutual funds through standing instructions to debit your bank account every month, without the hassle of having to write out a cheque each time. Some of the benefits of SIP are listed below. What are the products available under Mutual Fund? There are wide variety of Mutual fund schemes that cater to your needs, whatever your age, financial position, Risk Tolerance and return Expectations. Before investing in Mutual Fund Schemes; you should know which scheme suits your requirements. Aim to provide both growth and income by periodically distributing a part of the income and capital gains they earn. They invest in both shares and fixed income securities in the proportion indicated in their offer documents. In a rising stock market, the NAV of these schemes may not normally keep pace or fall equally when the market falls. Aim to provide easy liquidity, preservation of capital and moderate income. These schemes generally invest in safer, short term instruments such as treasury bills, certificates of deposit, commercial paper and interbank call money. Returns on these schemes may fluctuate, depending upon the interest rates prevailing in the market. Index fund schemes are ideal for investors who are satisfied with a return approximately equal to that of an index. Sectoral fund schemes are ideal for investors who have already decided to invest in a particular sector or segment. Fixed Maturity Plans (FMPs) are investment schemes floated by mutual funds and are close- ended with a fixed tenure, the maturity period ranging from one month to three/five years. These plans are predominantly debt-oriented, while some of them may have a small equity component. Exchange Traded Funds are essentially index funds that are listed and traded on exchanges like stocks. Capital Protection Oriented Schemes are schemes that endeavor to protect the capital as the primary objective by investing in high quality fixed income securities and generate capital appreciation by investing in equity / equity related instruments as a secondary objective. Gold Exchange Traded Funds offer investors an innovative, cost-efficient and secure way to access the gold market. Gold ETFs are intended to offer investors a means of participating in the gold bullion market by buying and selling units on the Stock Exchanges, without taking physical delivery of gold. A quantitative fund is an investment fund that selects securities based on quantitative analysis. The managers of such funds build computer- based models to determine whether or not an investment is attractive. In a pure "quant shop" the final decision to buy or sell is made by the model. However, there is a middle ground where the fund manager will use human judgment in addition to a quantitative model. With the opening up of the Indian economy, Mutual Funds have been permitted to invest in foreign securities/ American Depository Receipts (ADRs) / Global Depository Receipts (GDRs). Some of such schemes are dedicated funds for investment abroad while others invest partly in foreign securities and partly in domestic securities. While most such schemes invest in securities across the world there are also schemes which are country specific in their investment approach. Fund of Funds are schemes that invest in other mutual fund schemes. The portfolio of these schemes comprise only of units of other mutual fund schemes and cash / money market securities/ short term deposits pending deployment. Fund of Funds can be Sector specific e.g. Real Estate FOFs, Theme specific e.g. Equity FOFs, Objective specific e.g. Life Stages FOFs or Style specific e.g. Aggressive/ Cautious FOFs etc. Please bear in mind that any one scheme may not meet all your requirements for all time. You need to place your money judiciously in different schemes to be able to get the combination of growth, income and stability that is right for you. Remember, as always, higher the return you seek higher the risk you should be prepared to take. Mutual Fund products available in Bank of Baroda? Who regulates the Mutual Fund in India ? Who can sell the Mutual Fund in India ? Register with Association of Mutual Funds in India (AMFI ) and obtain AMFI Registration Number (ARN). Likewise, before being employed in sale and/or distribution of mutual fund products, employees of MFDs are also required to obtain the relevant NISM certification and register with AMFI and obtain Employee Unique Identification Number(EUIN). What is the suggested portfolio based on risk tolerance? How is the value/performance of the Mutual Fund products known? How Mutual Funds can be useful in achieving financial/Investment goals? Motilal Oswal Asset Management Co Ltd.